The Australia India Design Platform seeks to gather views around standards for creative partnerships between designers and artisans. 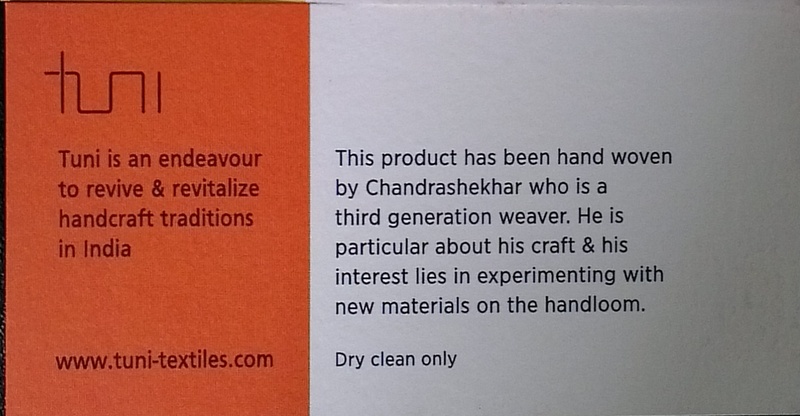 One contentious standard concerns whether the name of the artisan(s) should feature on the label. There are positive reasons for this, not only related to fairness, but also the value added by the reputation of the maker. However, among artisans it is not always appropriate to list an individual’s name, rather than a village or family. And some retailers may be reluctant to give over their sources. Labelling pertains to the information that accompanies the artefact through the supply chain to the point of purchase, and beyond. This includes not only physical tags attached to artefacts, but also websites and articles that provide back stories. By subscribing to Best Practice principles, those involved open themselves up to scrutiny. The aim of this is not to put participants on the defensive, but rather to increase confidence that matters are conducted in an open and truthful manner. Subscription to such principles can be identified through the labelling process. By this means, it may add value to the consumer who can use the back story when talking about the artefact with others. website. This report is available for reference by parties along the supply chain, including consumers. Artefacts developed through these protocols can carry a code, which can be entered into the website to obtain the report. The following are draft standards related to labelling that emerged from the workshop in Ethical Labelling at RMIT Industrial Design on 21 July 2011. These will be circulated for discussion and further discussed at the roundtable in Delhi on 21 October 2011. Information about the packaging and means of sale of the artefact should be shared between participants in product development. All meaningful contributions to bringing an artefact into existence should receive recognition. There should be a means of verifying the information on the label. I support the draft. The first retailers who should submit to this are all craft organisations and other retailers/galleries who market themselves as providing goods which are handmade eg potier. Beyond that it is going to be difficult to implement given retailers may see this as interferring in their brand and as divulging sources. Perhaps at some point involve the Australian Retailers Assn. The risk with doing this is the ARA may try and kill the Code. 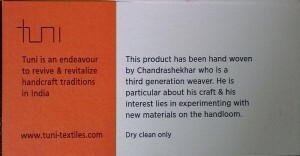 There is also a lot of misinformation about the term “handmade” but I am not sure of how to fix this.